The possibility of your PC(s) getting infected with malware are, sadly, quite high today, especially considering the increased number of malware attacks (and not to forget the zero-day threats) the cyber world is subjected to. Of course, security tools like antivirus and others offer protection. 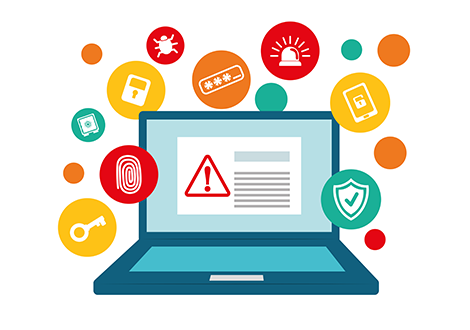 But it's worth it on your part as PC users to understand or learn how to check for malware in your machine, as this can help minimize the damage and assist you to take the right security measures - before it's too late. To check for malware, check for the following signs. Your Computer Slows Down: Your PC's performance is often indicative of the fact whether your machine is malware-infected or not. A malware-infected machine's performance is bound to go down. On the other hand, if your machine's performance is fine, then your PC is free from malware. Annoying Ads Popping Up: Are you being assaulted by many online ads? Most of which are unnecessary, unwanted and don't pertain to your browsing habits? If so, your PC could contain malware infection. (The root of the cause is most probably adware - a malware which generates easy money for the hackers by displaying ads on your system). Time for a cleanup. Your Computer Crashes Altogether: Although this is a no-brainer, it's worth the mention. Because there are other causes as well which can crash your computer. But one of the leading and prominent cause is usually a malware infection. Therefore if your computer crashes, go for a malware infection check. Browser Homepage Keeps Changing: Another clear indication your system is malware-infected is an often changing browser homepage. In other words, a browser homepage which changes on its own without you doing anything. If this happens to you, it's time for a malware scan! Your Antivirus Turns Off Automatically: Another classic sign of malware infection is the disabling of antivirus or other security solution you might have installed automatically. This is usually done so that malware can operate itself without any hindrance. Your Friends Receive Messages You Haven't Actually Sent: This too can happen and it usually takes different forms and shapes. Your friends might receive strange messages which you didn't send in the first place either through your mail or social media account. Another sure-shot sign your machine is infected. Unfamiliar Icons Appear On Your Desktop: If your desktop is getting littered with unfamiliar icons - software which you probably didn't download on your own - then it's time for malware check. Because this is usually another sign of malware infection. CIS priced editions come equipped with Unlimited Live Expert Virus Removal service. Which means our Comodo security experts are at your disposal 24/7 (and the service is unlimited) to offer their expertise in case you are infected by malware. In other words, they will be assisting you to disinfect your malware infected machine. But remember that when using CIS, chances of you getting infected with malware is very less in the first place. We are just talking about how CIS can help in the worst-case scenario of you getting malware infected. Therefore download CIS and stay away from malware infections. How To Check For Malware using CIS? Comodo Internet Security (CIS) uses the following technologies to check for malware in your PC(s). Default Deny Approach: Using this technology, we ensure all unknown and therefore dangerous applications are run within secure containers, without affecting your PC(s). A pretty useful feature in today rapidly changing cybersecurity threat landscape which throws up unpredictable challenges. HIPS and Viruscope: Host Intrusion Prevention System (HIPS) allows PC users to impose a set of security rules based on which a host intrusion prevention system would be established. In other words, a security system for keeping malware out will be established. Viruscope, on the other hand, monitors the system processes and prevents malware from infecting those processes. Protection Against Fileless Malware: One of the most important features of CIS is that successfully detects fileless malware which is known to leave no traces behind and is, therefore, is hard to detect. A security feature which every PC of today needs to combat the cybersecurity threat landscape. Ability To Handle Zero-Day Malware: Another popular security threat which needs to be tackled. And Comodo's Antivirus has the ability to do that. One of the most significant security measures which set Comodo Antivirus apart from the others in the IT security industry. Live Virus Removal Support: Our security experts will be at your disposal 24/7 and will assist you to disinfect your infected machine every step of the way in case of malware infections. This means your computer will be back to its normal state in no time!